A projector's Native Resolution is the number of pixels the projector uses to create the image. The more pixels it uses, the higher the resolution. Resolution is quoted in two numbers, such as "1920x1200," where the first number refers to the pixels horizontally across the screen, and the second number refers to the pixels vertically from top to bottom. This particular 1920x1200 resolution is also referred to as WUXGA. Each numeric native resolution format has a name like this to shortcut the need to quote the numbers. The names don't make much common sense but there are only a few of them in popular usage so they are easy to remember once you've gotten used to them. 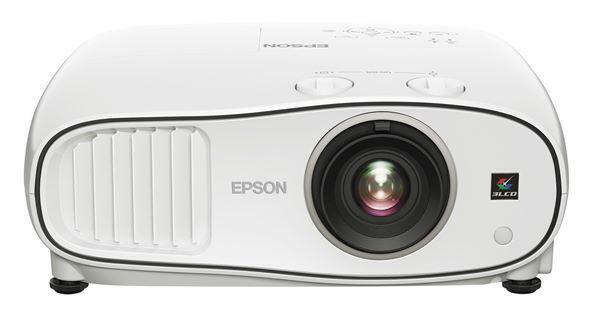 High-resolution projectors are able to show more complex picture detail than low resolution projectors. In addition to giving you more acute image detail, since there are more pixels used to make the image, each individual pixel is smaller, so the pixels themselves become less visible on the screen. However, you will generally pay more for higher resolution. Lower resolution projectors are much less expensive, but they can produce images that are just as bright and attractive as higher resolution machines. Unless you have a specific need to display complex images with a lot of fine detail, buying a lower resolution projector will be your best bet from a cost perspective. The current standard HDTV resolution format is Full HD 1080p, which is 1920x1080, a 16:9 format. This of course is the most popular resolution for home theater projectors, but it is no longer just a consumer/home theater format. Many people are buying HD 1080p projectors for business as well. There are many dozens of native HD 1080p projectors putting out over 5000 lumens for commercial and business use Here is a list of them: HD 1080p projectors over 5000 ANSI lumens. WXGA (1280x800) - WXGA projectors have the same widescreen 16:10 aspect ratio as WUXGA projectors, but they are lower resolution and are therefore less expensive, all other things being equal. They are certainly good options when budgets are a key factor as in K-12 classrooms. However, the very bright 1280x800 models can be ideal in large scale digital signage applications where brightness is king, and the subject matter being displayed does not demand high resolution presentation. XGA (1024x768) - XGA resolution has been around since the 1990's, but it is still a highly popular format that a lot of folks are buying. Why? Unlike WUXGA and WXGA just mentioned, XGA is a 4:3 aspect ratio, so it has the format of the older CRT-type TV picture rather than the modern widescreen formats. XGA resolution is inexpensive which contributes to its continuing popularity. Many models are well under $500. However, there are also many large venue XGA projectors on the market that are ideal for signage and other applications where widescreen format is not desirable or appropriate and higher resolution is not necessary. Think about the display of lyrics to guide the singing of hymns in a house of worship for example--the text is very large so high resolution is irrelevant. And many prefer buying into the 4:3 aspect ratio for this type of material rather than widescreen. SVGA (800x600) - SVGA projectors are very low resolution, and like XGA they are 4:3 aspect ratio. Their major attraction is extremely low price, with many available for just a few hundred dollars. SVGA can be a good option for Powerpoint presentations or signage applications where there is no need to resolve much fine image detail. 4K (3840x2160+) - The latest ultra high resolution products are in the 4K family, which is at least four times the resolution of HD 1080p. For those who can afford them they are highly desirable in home theater. But they also have excellent application in the display of very high resolution graphics. If you've got the money and the need for super high definition images, buying into the new 4K projectors may be your ideal solution. The big issue here is how complex your subject matter is. If you are routinely presenting large financial spreadsheets or complex architectural schematics, you need at least HD 1080p, probably WUXGA, or if your budget can tolerate it, possibly even 4K. If you have a lot of video content you will also want HD 1080p or WUXGA to match the source material available in HD format. On the other hand, if you're planning to use your projector for Powerpoint pic charts, bar graphs and general business presentation, you don't need to pay extra to buy into high resolution equipment. WXGA or XGA resolution projectors are perfectly adequate for this kind of work, and the best solution for the money. If you plan to use your business projector in a dual purpose role for video at home, you'll want to go with HD 1080p or WUXGA business models that have particularly good video performance attributes. Once you have determined which resolution most suits your needs, you can go to the Projector Database to find all projectors in that resolution class. The list might be lengthy at first, but this buying guide will help you narrow down the list to find the projectors most ideally suited to your situation.